There are a whole gamut of beautiful bassinets out there for newborn babies – we know how irresistible they are. They cocoon your new baby in a womb-like environment during that stage where they just look far too little for the cot. Here’s one which embraces new function once baby is sleeping in a bigger bed. Nesta’s Nest is inarguably beautiful, handcrafted by a Berlin mum for her son Nesta, who used it in his first nine months of life as a bed. Innate in the design is a new life as a doll bed or a toy basket, so you can rest assured your dollars are being invested in a piece which will be welcome in your home for years to come. 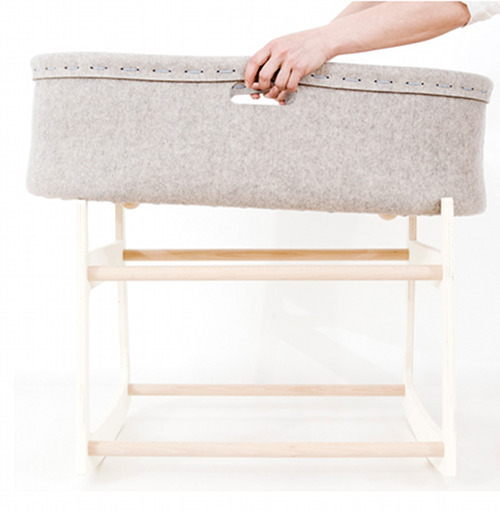 It’s made from wool felt and eco-certified birch and beechwood. If you would like to order, get in touch withe Nesta’s Nest in plenty of time, as they are produced in limited quantities being crafted by hand. 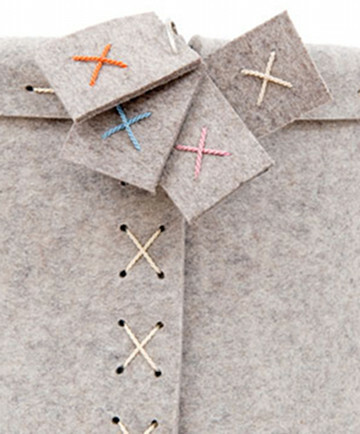 You can choose from four colours in the stitching detail – natural, orange, pink and blue.